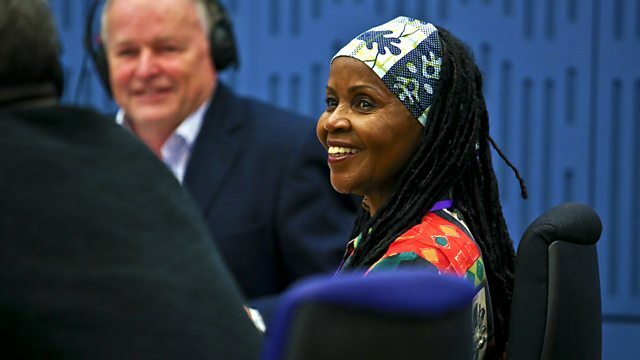 Clive Anderson and Phil Gayle are joined by P.P. Arnold, Camille O' Sullivan, Michael Frayn and Adam Kay for an eclectic mix of conversation, music and comedy. With music from Amadou & Mariam and Micah P Hinson. ‘The Turning Tide’ is available on Friday 6th October on Kundalini Music. P.P is touring until the end of October. She's playing at Soul Weekender, Skegness on Saturday 23rd September and London's 229 Club on Wednesday 11th October. Check her website for further dates. 'Pocket Playhouse' is published by Faber & Faber and available now. 'Woyzeck in Winter' is at London's Barbican until Saturday 16th September and then at the Gaiety Theatre as part of the Dublin Theatre Festival, between 3rd and 8th of October. Camille is performing at Olympia Theatre, Dublin on Friday 17th November and her album 'Camille singing Jacques Brel' is available now. 'This is Going to Hurt' is published by Picador and available now. 'La Confusion' is available on 22nd September on Because Music. Amadou & Mariam are playing at London's Troxy on Saturday 4th November. ‘Micah P. Hinson Presents the Holy Strangers' is available now on Full Time Hobby. Micah P Hinson is playing at Broadcast, Glasgow on Tuesday 19th, Sneaky Pete's, Edinburgh on Wednesday 20th and The Cluny 2, Newcastle on Thursday 21st September. Check his website for further dates.